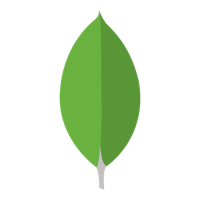 See the performance implications of using Lambda functions with a database-as-a-service like MongoDB Atlas. The official spec for ES2017 (essentially the 8th edition of the JS spec) has been published in HTML and PDF if you’re lacking for bedtime reading. A full-stack app framework built on React and GraphQL. It’s an evolution of Telescope but is becoming less Meteor-dependent. A well presented tutorial site complete with rich, live editable examples. Includes support for cynamic import() expressions, string enums, & improved checking. React Status is our React focused weekly. This week it includes a React Native starter kit and an introduction to Redux-first routing. Not a lot to see yet, but .ts support has been baked in. Check out Sonar’s homepage to learn more. Opinions will vary but if you do well at these, you’re in a strong position. Oriented around live coding a form from scratch. A well established project that continues to get frequent updates.